SUMMARY: Have SMSFs peaked? One big industry fund claims to be stealing SMSF business, but ATO statistics are not supportive. Are Australians “over” DIY super? Have we tired of the work involved in running our own super funds? 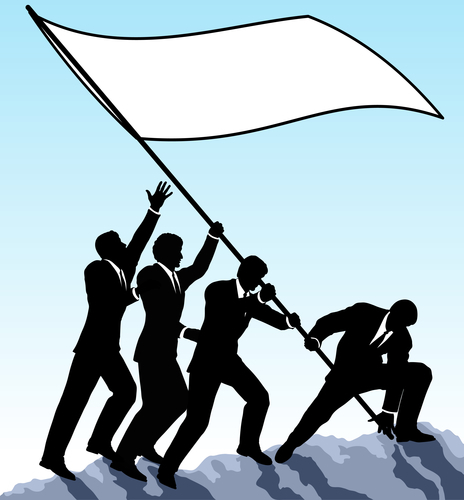 Australian Super claims self-managed super fund trustees are waving a white flag and saying that it’s all too hard. The industry fund, one of the country’s largest super managers, says for the last six months, it has received net inflows from SMSFs. The numbers aren’t big, but for six months they’ve been pretty consistent. First note: One swallow does not a summer make. Second note: Official statistics don’t back this claim even slightly. Yet. Australian Super chief executive Ian Silk isn’t claiming that a trend has developed yet, but describes it as a “really interesting development”. It is possible that Australian Super is the first swallow. Silk claims that in calendar 2012, Australian Super lost $100 million in outflows to SMSFs. But in 2015, it received $11 million net inflows. Australian Super has run a very large (and presumably reasonably costly) marketing campaign in recent years. And this will have helped to a degree. But is what they’re seeing an anomaly, or the beginning of SMSF peak theory (see this column, 2/2/11)? For Australian Super, the brand awareness campaign is paying off. Silk says that total inflows from SMSFs have risen from $40 million in 2012 to $150 million in 2015. The average member balance coming back to managed fund super from a SMSF is only $70,000. That is very low for a SMSF member account. The average balance of a SMSF member is around $535,000 (that is based on total SMSF net assets of $575.4 billion, with 1.075 million members). So, if the incoming balances are that low, they are at the bottom end of the SMSF membership statistics. And it would, therefore, make sense that there are two main types of super members who are part of this wave. The first is SMSF accumulation members with small balances who find that running a SMSF is more work that they thought it would be, is more work that it is worth, or they don’t have the skills or time to do it properly. The second group is likely to be at the other end of the spectrum. They are likely to be older members with pension funds that have, over time, been paid down. This might now be to the point where the balances are smaller, or members are getting too old, or who are tiring of the work and cost involved on decreasing member account balances. But Australian Super’s prowess in the area will be worth watching, particularly given there is no sign that any real slowdown is occurring in the start-up of SMSFs, as tracked by the Australian Tax Office. And every major super fund wants to know how to stop the losses from their own platforms to SMSFs. However, Australian Super’s fortunes are not generally reflected by the ongoing ATO’s quarterly statistics. The most recent figures, to December 2015, show we’re still flocking to SMSFs, with no slowdown yet on the horizon. In the two most recent quarters (to September 2015 and December 2015), SMSF net establishments were 9375 and 5737 respectively, on either side of the average of about 7000 a quarter for the last 4.5 years. SMSF individual membership growth for the two quarters were 20,284 and 10,321, similarly straddling either side of the 4.5 year average of 13,255. The ATO’s quarterly figures also give us further insight into the minds of SMSF trustees and their investments. Cash continues to grow in SMSFs. As at December, SMSFs cash and term deposits was sitting at $155.4 million. Cash holdings continue to growth, quarter after quarter. They haven’t gone backwards in at least the last five years, no matter what else is going on in other investment markets. The total of shares being held, as expected, bounces around with the what’s happening in share markets. After peaking at nearly $192 million in the March 2015 quarter, they fell to $167.9 million in September, before recovering to $178.4 billion in December. Commercial property holdings are sitting at $73.8 billion, continuing strong growth in recent times and up 55.5% since June 2011. Residential investment property has enjoyed even stronger growth, from a lower base. SMSFs now hold more than $24 billion of residential property, up 64.6% since June 2011. And, following the ATO having twice revised their numbers regarding SMSFs and geared property (see my column 23/9/15), limited recourse borrowing arrangements continue to gain in popularity. LRBAs are sitting at $18.7 billion. Figures prior to June 2014 are considered useless, because of the way data was collected. But the most recent figure represents a 14.1% increase year on year. The value of collectables is about the only asset class measured by the ATO that has fallen. This is due to changes having been made in 2011 – which come into full force in mid-2016 – about how collectables are to be stored and insured. From mid-2011, their value fell from $713 million to $413 million in June 2014, as SMSFs got rid of the assets. However, the falls seem to have bottomed out in mid 2014 and have stayed stable since.